In an office environment, procedures dictate the way you perform certain functions of your job. You may have procedures for ordering supplies, sorting the mail, coordinating meetings, and processing expense reports. These procedures reduce stress, allow a colleague to fill in for you if you need to miss work, facilitate covert delegation, and keep everything running smoothly. However, many home-based entrepreneurs can also benefit from procedures – both from a personal and a professional standpoint. Adopting procedures for your business and family routines can benefit you in ways you could never imagine, and offer a lot of the same benefits enjoyed by those who use them in a more corporate environment. If you’re interested in developing procedures for your home-based business and family, here’s what you need to know. A procedure is simply a standardized way of doing things. It can be handwritten or typed. It can be stored in a binder on your desk or digitally on your computer – although ideally, you should do both. A good procedure will show you (or anyone else who might need to use it) the step-by-step process to complete a certain function. It may be as simple as a checklist or as complex as a multi-page document. Procedures are clear and easy to understand. They rely on commands rather than full sentences. Bullets are used for steps that don’t have to be done in a certain order; numbers are used for sequential steps. Screenshots or drawings are especially useful in illustrating a point. Procedures are useful anywhere you need a reference to look back on, or anytime you need to convey specific steps to other people. For example, if you rarely perform a task – such as filling out annual sales tax paperwork or dealing with quarterly accounting practices – it can be helpful to develop a procedure as you’re completing the task to jog your memory the next time you need to perform the process. Alternatively, if you rely on far-flung colleagues, business partners, or freelancers to fill in for you when you go on vacation or are otherwise unavailable, creating a procedure to perform the tasks you’re asking them to do – such as publishing blogs, producing newsletters, processing orders, or handling customer support questions – can save a ton of time and unnecessary phone calls or emails. 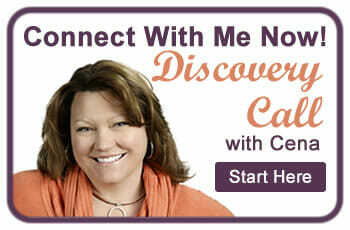 There are plenty of places you can implement procedures into your home-based business, as well as your family. Daily, Weekly, Monthly, and Annual Business Functions: Think of what you do each day, week, month, and year. Most of it will seem automatic to you, but what if your health, family, or schedule required you to outsource these duties to someone else? What would they need to know? If you’re having trouble deciding what to include in your procedures, I suggest tracking your time and tasks for a week or two. This can help highlight where to focus your concentration. Self-Sufficiency Procedures: If you’re like many home business owners, you may have children running around the house – and nothing derails a train of thought or interrupts a conference call quicker than a kid “needing” something – immediately. Consider creating a procedures binder specifically for your children. You could include step-by-step instructions to make simple snacks, put on a DVD, or navigate child-friendly websites. (Safety, of course, is paramount, and you know your kids and their capabilities better than anyone. Make sure your children are up to the task, and go through each procedure with them a few times until they get the hang of it!) If you ever leave your children with a babysitter, having a binder with emergency contact information documented for you, family members, and medical providers is very important, too. Disaster Procedures: If a fire, flood, earthquake, or other disaster struck too close to home, would your family be prepared? What if you were at home, your spouse was at work, and the kids were at school when the unthinkable occurred? Would you know where to meet, or how to get in contact with each other if the lines were jammed? Creating your disaster procedures now and regularly reviewing them with your family can get everyone on the same page and provide a sense of calm when everything seems chaotic. Financial Procedures and Beyond: Does your spouse know how to access the bank accounts if you are unable? Do you have the passwords to online accounts, should the partner who normally deals with the money be incapacitated? Do you both know where important documents such as social security cards, life insurance policies, passports, and birth certificates are stored? One partner is generally appointed as “keeper of all things legal and financial”, but should the worst happen, procedures should dictate the basics of how to pay the bills, get into the safety deposit box, or access stocks and bonds. Many home-based business owners don’t think about the immense value procedures have – or the relief they can create – in their office or their home. After all, they’re not supporting multiple executives, they don’t have a staff or co-workers, and there’s (usually) no one to fill in for them if they’re sick or just want a break. But procedures are useful no matter where you work – and when they’re used properly and shared with your family, they can help relieve stress, create structure, and organize your entire life! 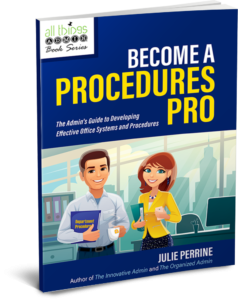 For more support in getting procedures created for your home-based business, check out Julie’s latest book, Become a Procedures Pro. Do you have set procedures in place for your home and business? Or do you have gaps that you need to work on? Share with us in the comments. Thanks so much Julie for sharing your insights with us! 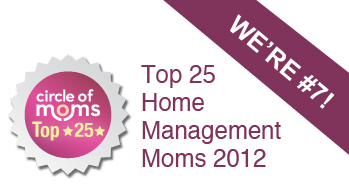 These tips are great for us Mompreneurs who desperately need to have systems in place!! 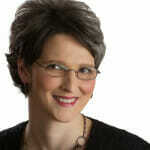 Julie Perrine, CAP-OM, is an administrative expert, author, speaker, and all-around procedures pro. 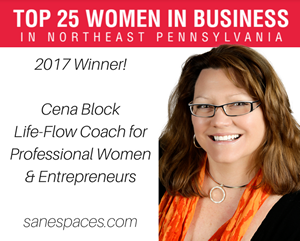 She is the founder and CEO of All Things Admin, a company dedicated to developing and providing breakthrough products, training, and resources for administrative professionals worldwide. Julie has more than 25 years of experience in the administrative profession spanning several industries and serving in corporate and startup settings. She is also the author of three books: The Innovative Admin: Unleash the Power of Innovation In Your Administrative Career, The Organized Admin: Leverage Your Unique Organizing Style to Create Systems, Reduce Overwhelm, and Increase Productivity , and Become a Procedures Pro: The Admin’s Guide to Developing Effective Office Systems and Procedures.